Do you need Galaxy S6 Edge Repairs? Galaxy S6 Edge was released from Samsung in April 2015 along with Galaxy S6. Wrapped in a beautiful aluminum and Gorilla Glass design, with a 5,1'' dual- edge screen and upgraded technical specifications, like the advanced wireless charging feature, the new model stands out in comparison with its predecessors. We are a true nationwide provider of Galaxy S6 Edge Repair, Laptop professional repair services as well as iPhone repair. 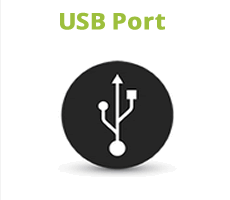 Besides repairs at our Galaxy S6 Edge Repair services, Laptop repair, PC Computers and laptop repair service center in Bellville Cape town, we have repaired Galaxy S6 Edge for customers all over South Africa including Johannesburg, Pretoria, Durban, Kimberly, Bloemfontein, Port Elizabeth, Polokwane, Pietermaritzburg and Nelspruit plus many other South African cities. Would you like to ask one of our technicians a question before you bring in your Galaxy S6 Edge? click here to chat now or call us at 086 722 776 4. If you would like to use our professional Galaxy S6 Edge Repair services but don't live close to our Galaxy S6 Edge Repair service center, click here for information on sending us your Galaxy S6 Edge for professional repair through our express courier service. Whatever may be the problem you have with your Samsung Galaxy S6 Edge, we can help you! At HK Computers repair center we can replace any part of you Galaxy S6 Edge with an equivalent highest quality part at a very competitive price. We know how valuable and essential your Galaxy S6 Edge is, that's why we offer you the fastest, most affordable and highest quality repair. And the most important thing is that at HK Computers almost all Galaxy S6 Edge repairs can be completed in less than 1 hour! 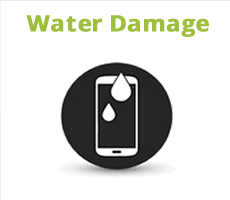 We have expertise in Galaxy S6 Edge repairs, including water damage and motherboard repairs. 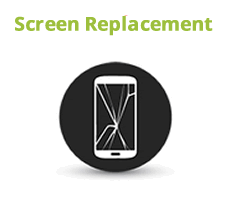 We can repair your Galaxy S6 Edge in almost every case, regardless the problem. Even if you have been told your Galaxy S6 Edge is not feasible to repair, bring it to HK Computers, in most cases we can fix it! We are a true nationwide provider of Galaxy S6 Edge repair services. Besides repairs at our Galaxy S6 Edge service center in Bellville Cape town, we have repaired iPhones for customers all over South Africa including Johannesburg, Pretoria, Durban, Kimberly, Bloemfontein, Port Elizabeth, Polokwane, Pietermaritzburg and Nelspruit plus many other cities. If you would like to use our professional Galaxy S6 Edge repair services but don't live close to our Galaxy S6 Edge service center, click here for information on sending us your Galaxy S6 Edge through courier for service.